No, THIS is the worst airport lounge ever! | No Mas Coach! 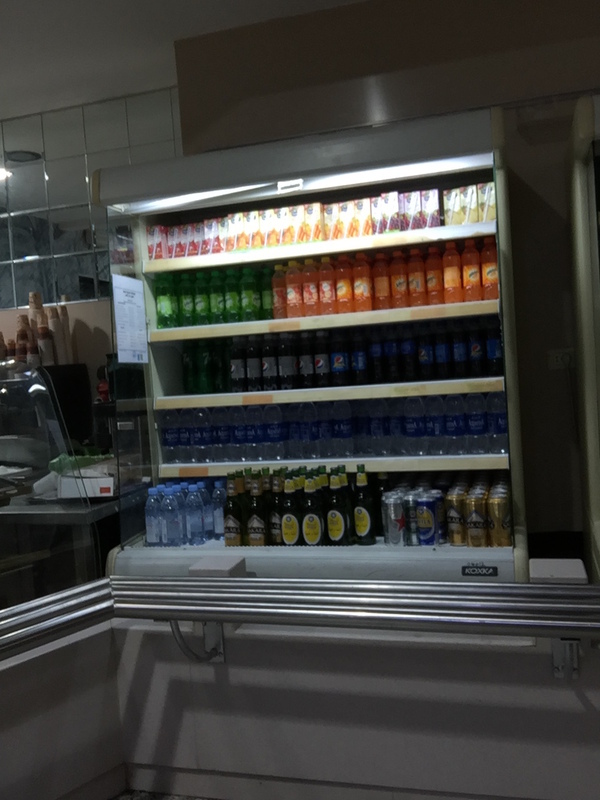 Home » Lounge Reviews » No, THIS is the worst airport lounge ever! No, THIS is the worst airport lounge ever! 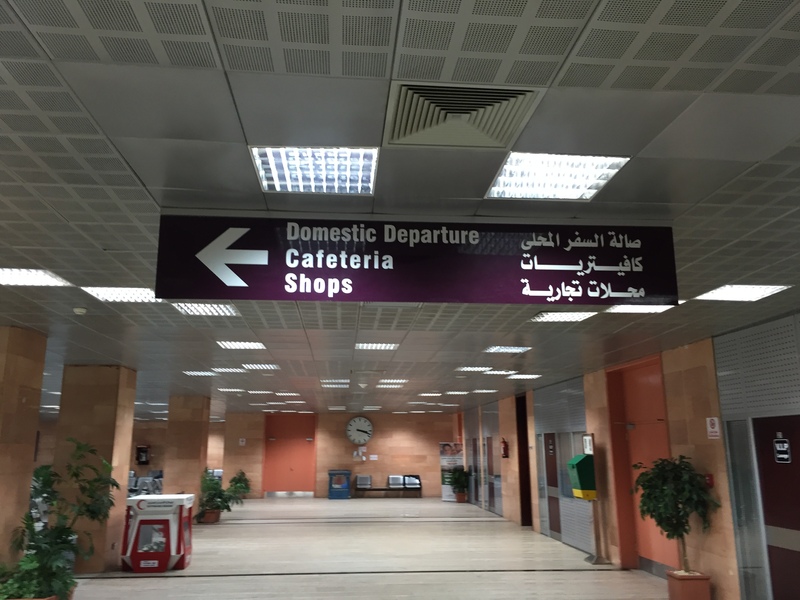 A week ago on another blog, I saw a post called “The Worst Airport Lounge I’ve Ever Been To.” Ironically, we were in the taxi heading to an airport when I read it, and had been granted access to an airport lounge for our paid business class ticket. 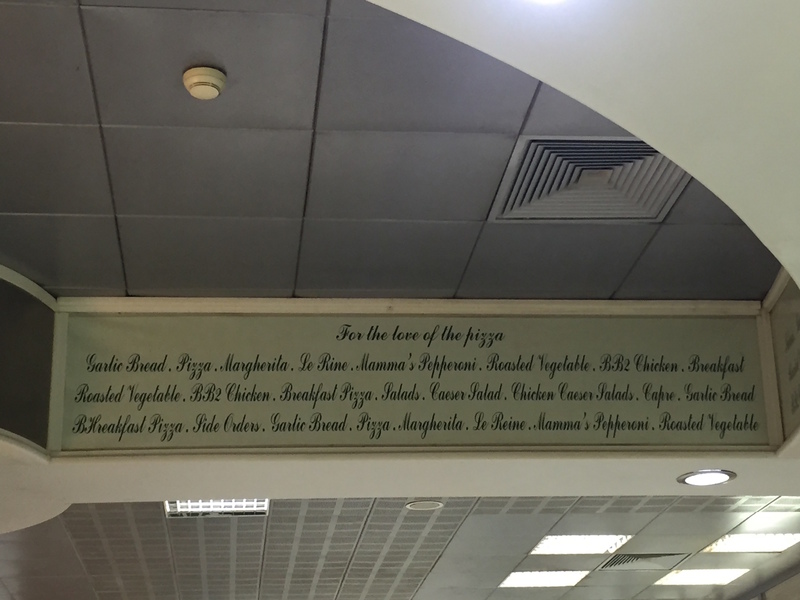 What follows is TRULY the worst business class lounge, ever. 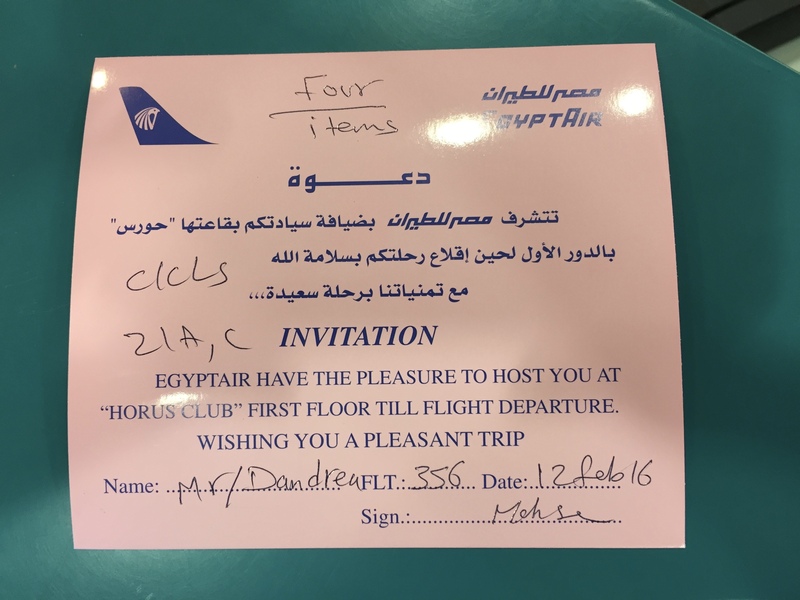 On our flight back from Luxor to Cairo, we had chosen to fly EgyptAir from Luxor-Cairo-Sharjah, and we redeemed United Airlines miles for a free flight in business class. Of course with a business class ticket comes lounge access, so imagine my delight when we received the following invitation at the check in counter. Notice the invitation, it says 4 items (which I assumed was our carryon bags, since we each had two). So, we cleared security and headed through the airport. There were only three gates, 9, 10, and 11. We were told that the lounge was next to gate 9. 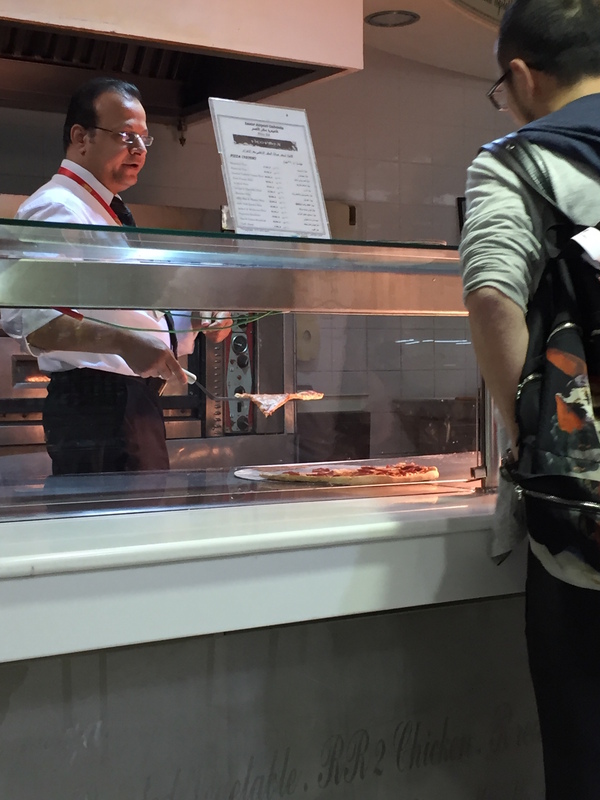 Seriously… the pizza looked old. Again with the typos. Go ahead and have fun reading them. We kept on walking around the airport and found a smoking lounge, and an “Oriental Shop” selling things like fake sphinx and pyramids souvenirs. Finally there was a room that said VIP room so I went in there, and there was a conference room and a water cooler and about 5 seats. Nope, this wasn’t it either. Those are rooms that you can reserve if you want a place to relax before your flight. Since we couldn’t find the “Horus Club” on the first floor, we decided to go back to the cafeteria to ask the man where the club was. His response? 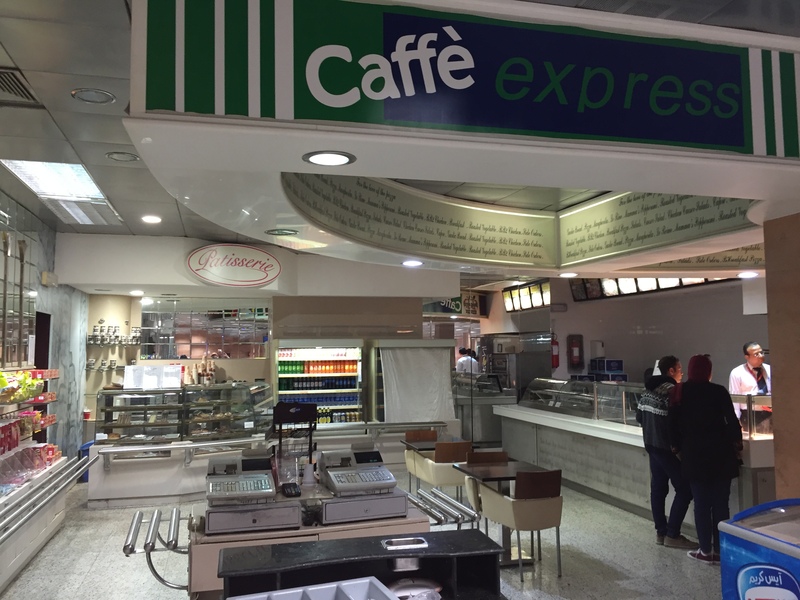 So, yes, the lounge IS the cafeteria. 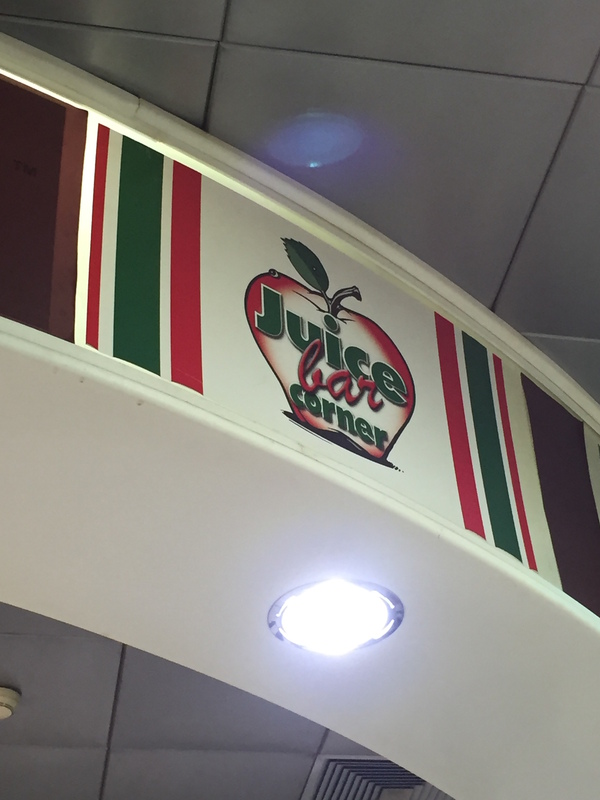 They even had a juice bar – just look at the selection! So after a careful deliberation of over 60 seconds, we decided each for a diet pepsi and some marble pound cake. 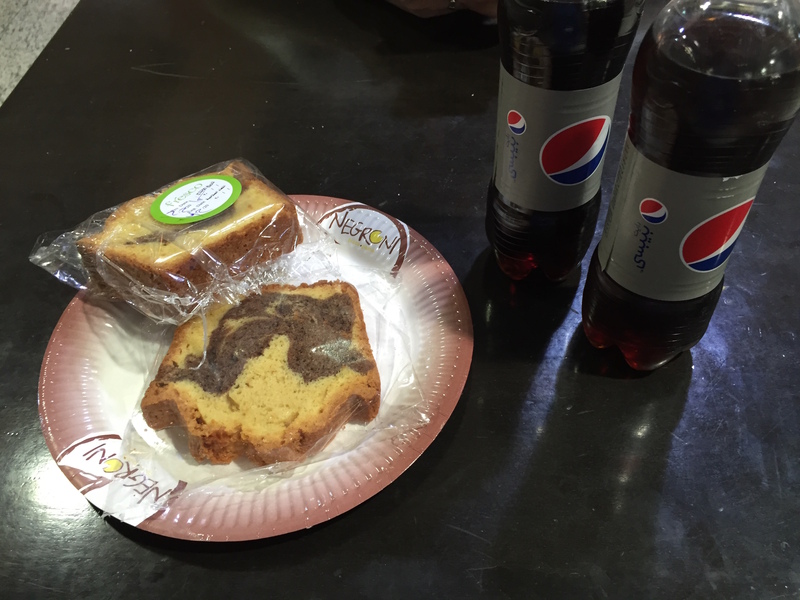 Pepsi and Marble Cake – Mmmmm!!! So yeah, Luxor does have a “lounge” for its premium passengers. But it’s also a lounge that’s a cafeteria that anyone can walk into and buy stuff. So while I’m happy that there was an option for free items, let’s be honest. This is no Horus Club. This is no lounge. It’s pretty much the WORST airport lounge, ever.